Acclaimed director Alexander Sokurov's beautiful new film explores the enclosed all-male environment of a Russian troop regiment in war-torn Chechnya. In the oppressive heat of a remote military outpost, an old woman (legendary Russian opera star Galina Vishnevskaya) arrives in search of her twenty-seven-year-old grandson, whom she has not seen in seven years. What she discovers is a world devoid of warmth or comfort and with a constant undercurrent of violence, in which questions of life and death are decided every hour of every day. 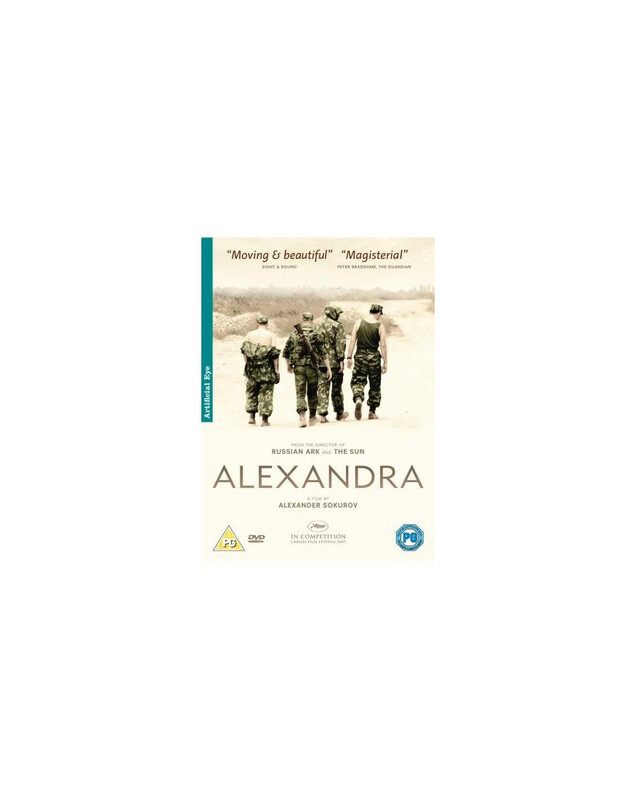 Exquisitely photographed and directed, Alexandra is an extraordinary examination of masculinity and the mental and physical scars wrought by conflict.